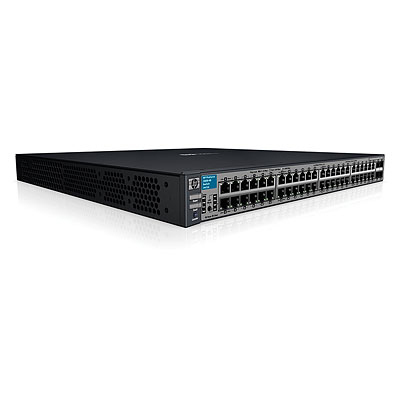 The HP 3500 Switch Series consists of advanced intelligent-edge switches, available in 24-port and 48-port fixed-port models. The foundation for these switches is a purpose-built, programmable HP ProVision ASIC that allows the most demanding networking features, such as quality of service (QoS) and security, to be implemented in a scalable yet granular fashion. With a variety of Gigabit Ethernet and 10/100 interfaces; integrated PoE+, PoE, and non-PoE options; and versatile 10GbE connectivity (CX4, X2, and SFP+) on Gigabit Ethernet switches, the 3500 Switch Series offers excellent investment protection, flexibility, and scalability, as well as ease of deployment, operation, and maintenance.